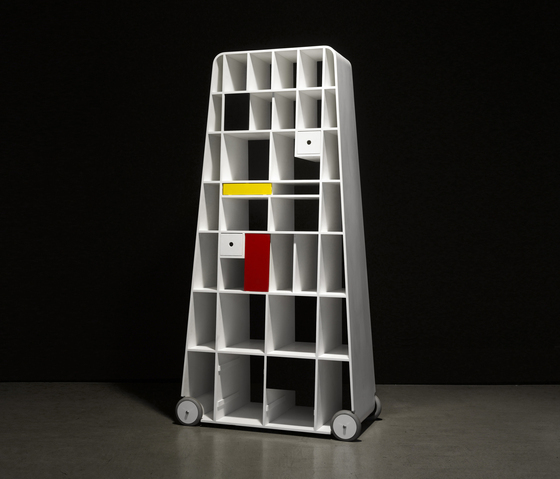 In the mood for a little Mondrian? 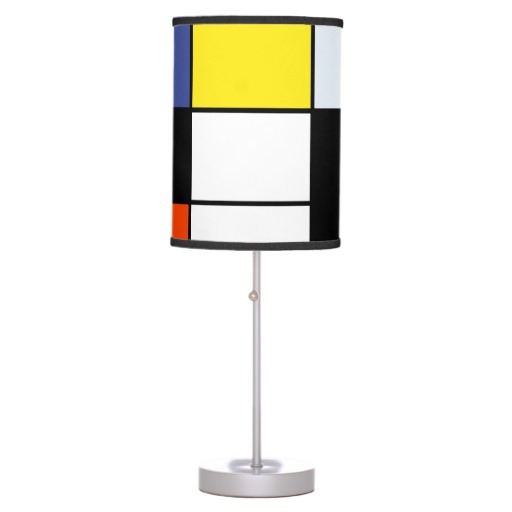 The iconic Dutch painter Piet Mondrian, born in 1872, had an unmistakable geometric style, combining abstract black or grey lines with rectangles of primary colors like yellow, red and blue. 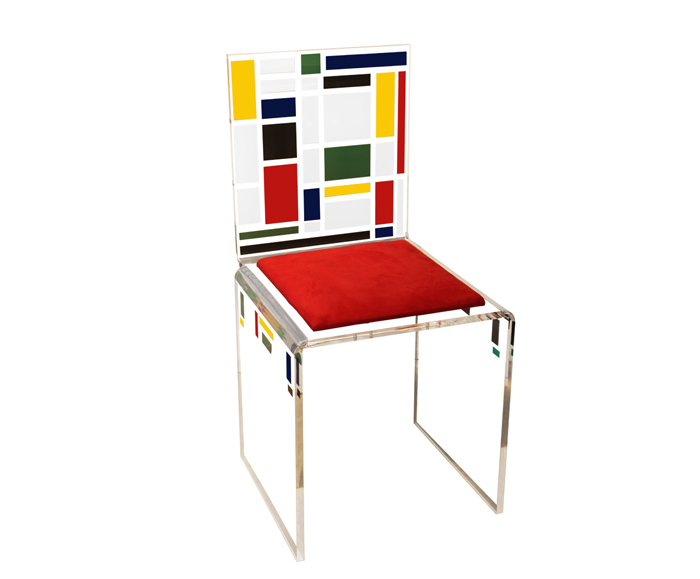 He’s one of the biggest artists of classical Modernism and a founder of the Dutch De Stijl movement. You’re most likely very familiar with his most famous pieces such as “Composition with Large Red Plane, Yellow, Black, Gray, and Blue” (1921). 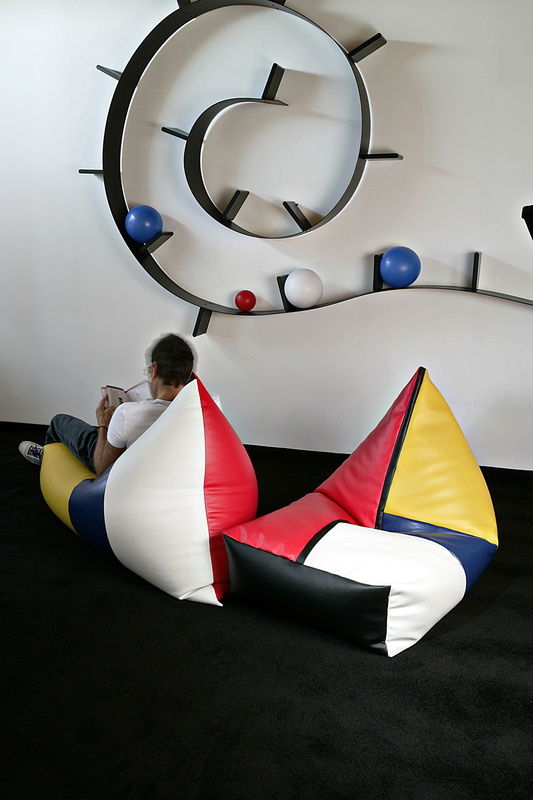 It’s a style that has been influencing artists and designers to this day, and below are some of our favorite homages to his work. 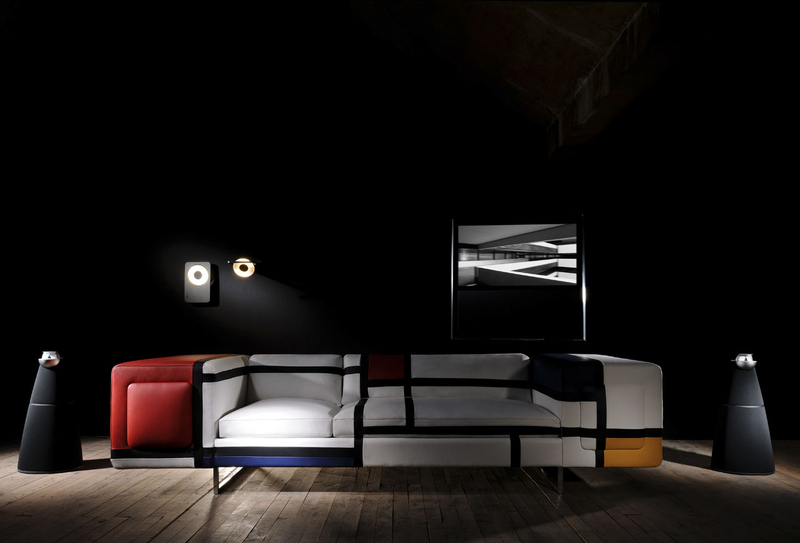 As per their philosophy of offering an “haute couture made-to-measure experience” with gorgeous items by designers who are given total creative freedom, Sofoz Design Mobilier in France presents the Mondrian Chair in Altuglas (acrylic). It comes in various seat colors. 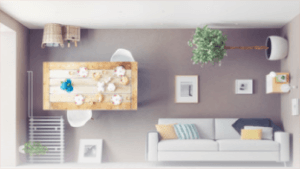 Sofoz’s manufacturing process is ecological and 100% made in France. 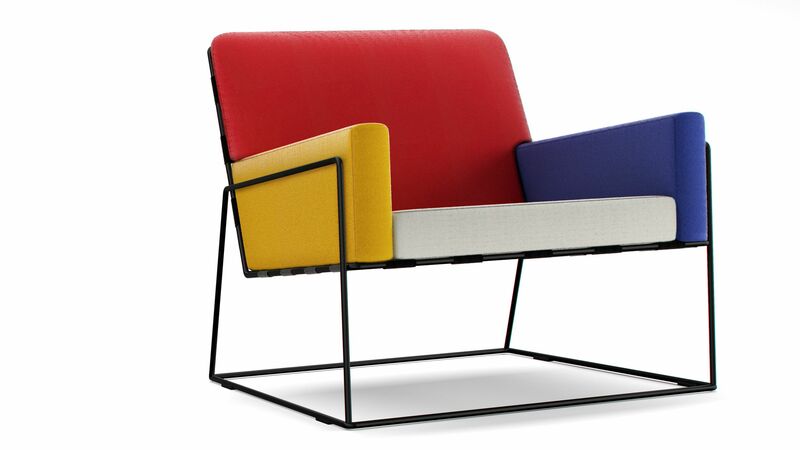 We also covet the super stylish Charles Chair by Marcel Wanders – co-founder and artistic director of design label Moooi – with its chic stainless steel structure and vivid colors. Bean bag anyone? Peggy is a cozy, not-too-slouchy, made-in-Italy lounger made of eco leather (80% PU, 20% CO) and offered by Creativando. 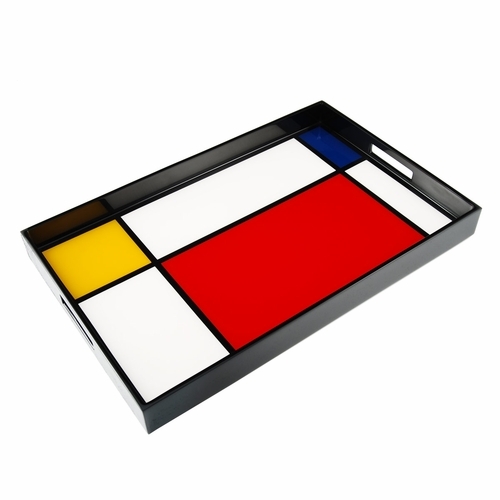 A smaller commitment to the Dutch artist’s aesthetic is the handcrafted and polished Mondrian Breakfast Tray from the Pacific Connections brand, or the Piet Mondrian Composition A Table Lamp available at Zazzle. The latter also proffers pillows, mugs, skateboards and more. 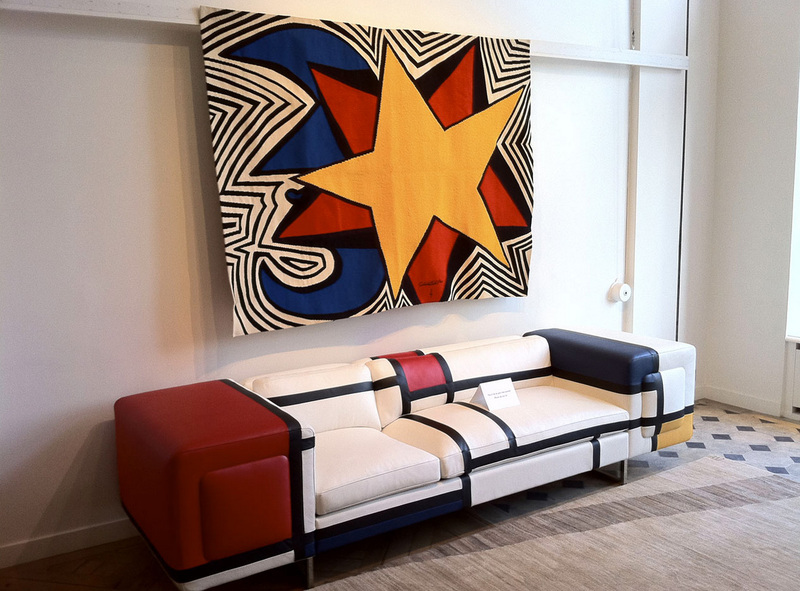 This fantastic sofa we spotted and fell in love with at David Manien in France (see top image and image above), but we’re not sure it’s for sale yet. Learn more at www.facebook.com/dmanien.siegesetdecoration.